The Gruffalo knows how much you little monsters love learning with your paws. So he’s made you a very special learning helper: a colours book with jigsaws to make. Hurray! It contains five really simple four-piece jigsaw puzzles showing the Gruffalo’s animal friends. 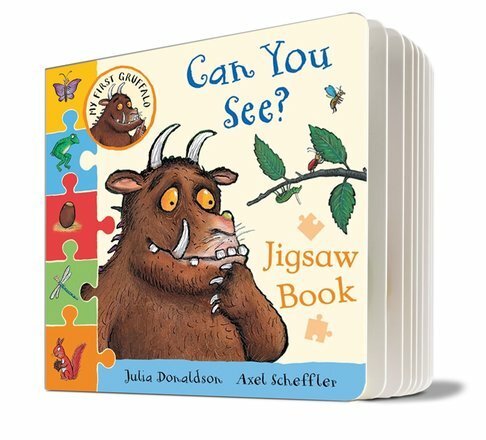 (You’ll love Axel Scheffler’s funny pictures.) Plus, you’ll explore all the colours of the Deep Dark Wood in a merry spotting game.